These blogs explore my journey from published author to marketing it and building my platform as writer. Some Things Come as a Complete Surprise! Ever since I wrote my book and published it at the end of 2014 I have been learning about marketing. Writing a book is one thing but marketing is another animal! Something I didn’t have any education in. I just wanted to write, I didn’t think about marketing! After the excitement of a book launch and selling your new book to all of your friends reality sets in. Now what do I do? I started reading a lot of books on how who to market your book. You know the ones: How I sold a bazillion books on Amazon in a week, How I jumped to the top 100 on Amazon in record speed, How Oprah found my book and I got famous, those books! Most of those books only worked for the people who wrote them! Elizabeth Gilbert, of Eat Pray Love fame was sent a copy of my book by a friend of mine when it first came out. I signed it to her. I think she is as close to Oprah as I will get, but who knows. She could pick it up from her pile of books and read it someday and be delighted. For the last month I have been feeling frustrated with the whole marketing process. I really didn’t know what to do! My book is amazing and I know it will change lives if people read it, but I didn’t know how to get it into people’s hands! If you are an author you know what I mean when I say, I got to the point where I was wondering if anyone cared. I wondered if that was it, I was probably not going to sell any more books. I had put myself out there in a very transparent way and had gotten very little feedback and couldn’t help but think maybe it was too honest. Maybe I had revealed too much. Maybe what I said didn’t have value after all. This is the hard part about being an author in my opinion. We write because we hope someone else will read what we wrote. I don’t care what anyone says. We want people to read our books and be touched in some way. Humans love recognition, and I am not an exception. Yesterday I got an email from a bookstore in Florida that is interested in my book. The first line was “I found your book on-line and saw that you won an award for it! ” I stared at that line and thought, “No I didn’t!” I did a google search and couldn’t find anything. She wanted to sell my book in her store. I didn’t want to email her back and say that I hadn’t won an award so I searched again, and found it. I HAD won an award and didn’t even know it! What? That means I am an award winning author! I searched my email and sure enough, there it was May, 17, 2015 and I missed it! It is our great pleasure to inform you that you are a Winner in the 9th Annual NationalIndie Excellence Awards. Your book truly embodies the excellence that this award was created to celebrate, and we salute you and your fine work. The lists of winners and finalists will be highlighted on our website. Please go to www.indieexcellence.com to see your name and book cover among those of the other proud winners and finalists. The entire team at the National Indie Excellence Awards sincerely hope your participation in our contest will serve you well in your ongoing success. You have our deepest congratulations. I surrender! My book has a life of it’s own and apparently it is keeping parts of it secret until I am ready to hear about them. If you are writing a book or have published a book and are at all frustrated with the process DON’T GIVE UP! 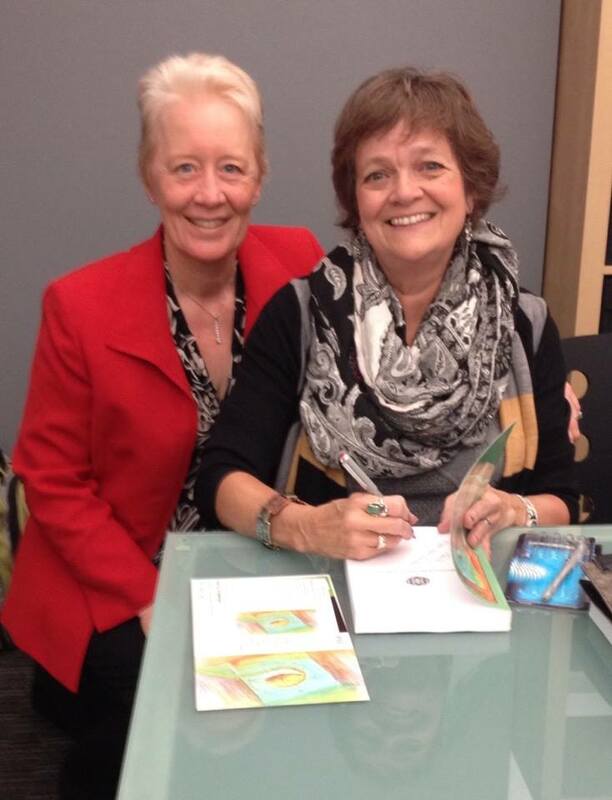 My book, Empowered Health and Wellness, awakening the inner physician was officially launched on Oct 25, 2014! It was birthed into the world with a wonderful party with family and friends there for the send off. For me it was a magical night, where I got to see the fruits of my labor become a reality. This experience is really amazing when you put your heart and soul into a project off and on for 9 years, transforming yourself in the process and having it be so well received. Do you ever feel like you know your body more than anyone else but you haven’t learned how to access that knowing? Do you know that you have an innate ability to heal yourself and want to learn how to tap into that? Katelyn’s book will help you do that through personal stories of her experience, through information about alternative techniques and through exercises to put them into action in your life. Empowered Health and Wellness will give you hope and get you excited about the idea of being healthy again! Even though the book is about Katelyn’s personal physical healing journey there is so much more that will add value to anyone’s life. Discover how to change how you think and become the master of your own reality whether you are struggling with physical illness or just wanting to take things to another level, this powerful book with effectively shift your consciousness. Learn how to transform yourself using your illness as a guide. You don’t want to wait until you are sick to learn how to engage your inner physician. You can learn from reading this book how to use your inner physician. Katelyn invites you into her personal world of self healing in an open and vulnerable way that exudes passion and encourages you to start dreaming again. In the book she takes you on her personal wellness journey as she shares her stories and alternative techniques used to heal herself from issues she was told would not heal. It is her hope that her success will inspire you to look at your own healing journey in a new way. Katelyn is tenacious in her search for balance and well-being. She introduces the concept of the Inner Physician, that part of your consciousness that knows what you body needs in order to come back into balance. Just reading the book will activate the Inner Physician and you will notice you are being informed in a new way and you will gain an understand on how to engage your inner healing wisdom. Through the book you will learn how to awaken and interact with your Inner Physician and discover your personal ally in healing. Visit my website Empowered Health and Wellness for other resources. 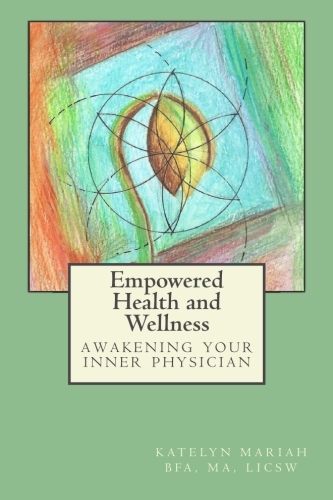 Empowered Health and Wellness, awakening the inner physician is now available. I am extremely excited to announce the launch of my new book, Empowered Health and Wellness, awakening the inner physician! Some of my most frequently read blogs have been about my own healing stories. For example : A Lightening Bolt to the Side of the Head. My book explores the topic of healing and transformation of physical issues to a much deeper place. This brilliant and compelling book will open your heart and enhance your own healing journey, taking you out of crisis and into hope! This book is an intimate look at Katelyn’s personal journey so it is vulnerable, juicy and raw at times. Katelyn allows you into that sacred space inside that is authentic and lets you see the good, the bad and the ugly. She takes you inside and through illness to the other side and a return to health that is possible when you call on your Inner Physician. The book is a combination of her healing stories, the alternative healing techniques she used and a resource guide. If you or someone you love is struggling with health issues, you will want to purchase this book! “Each patient carries his own doctor inside him. They come to us not knowing that truth. My blog gives authentic voice to the personal process of evolving in a changing world. I am often raw and real as I explore and share my own process.